Who cares who needs a gaming laptop with a curved display. It's just fun to look at. 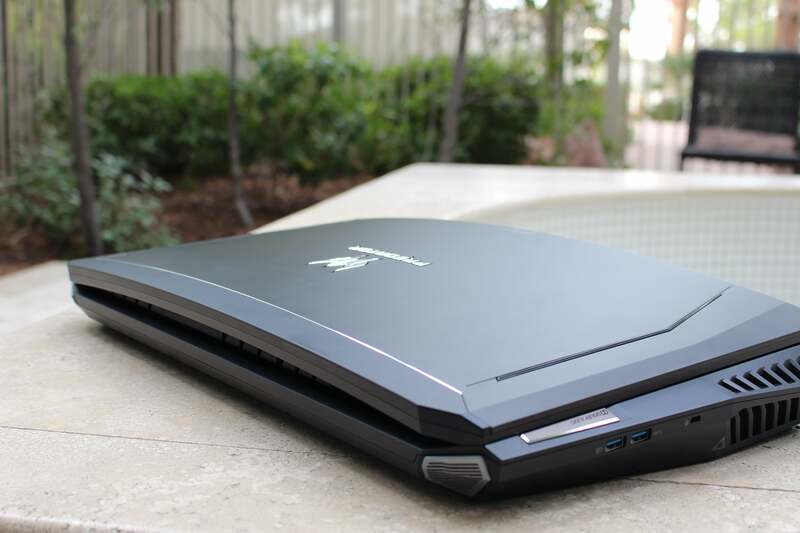 You really need two hands to get a feel for what Acer’s Predator 21 X has to offer, which is 8.8 pounds of desktop-grade gaming power in the chunkiest clamshell I’ve ever seen. It’s also the weirdest-looking because of its industry-first curved display. 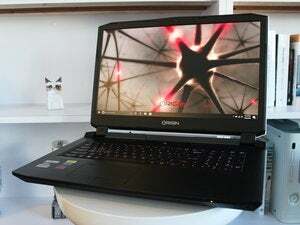 Unveiled Tuesday at CES in Las Vegas (after a preview at IFA in 2016), the Predator 21 X isn’t something you’d take on a business trip, but it is something you could take to your next LAN party and show off to your friends hauling their quaint towers. Whether that bragging right is worth $8,999 is a matter between you and your financial planner. As you might imagine with this parts list, the Predator 21 X gets hot. It has five internal fans and nine heat pipes. The curved screen on Acer’s Predator 21 X creates a gap when the lid is closed. Acer tried some ways to fill the gaps but eventually decided to lease it as-is. The curved display is a 21-inch IPS with a 120Hz refresh rate and support for Nvidia’s G-Sync. Its slight curve means the laptop doesn’t close fully as you’d normally expect. Acer said they considered little flaps and other means of filling in the gap and just decided to let it be. A dark band below the display houses the Tobii eye-tracking module so that yes, you can play games with your eyes. I tried this (after a brief, easy calibration process) and it was very intuitive to aim at a target and hit a button to shoot. We’re starting to see more PCs finding ways to evolve beyond the keyboard and mouse. Tobii eye tracking was definitely less awkward for me than fiddling with the WASD keys and a mouse. 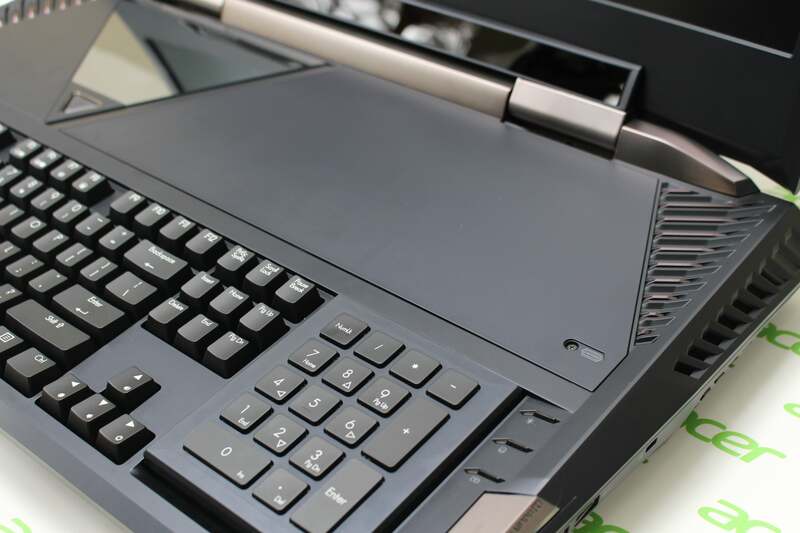 A large panel above the keyboard offers accessto upgradable components. You can customize this panel with Acer-supplied graphics or even a laser etching of your gaming handle. The number pad flips over to become a touchpad. Tobii eye tracking nestles in a bar below the display. For input you get a mechanical Cherry MX keyboard. There’s plenty of room for a number pad, and this one has a neat trick: It can be flipped to become a trackpad. The pad connects via a few pogo pins along the top, while gentle magnets hold it in place on the keyboard tray. The Predator 21 X has an 8-cell, 88Whr battery that Acer estimates will last about 3 hours. We weren’t able to open up the Predator 21 X, but there’s a panel above the keyboard for accessing all the upgradable parts. 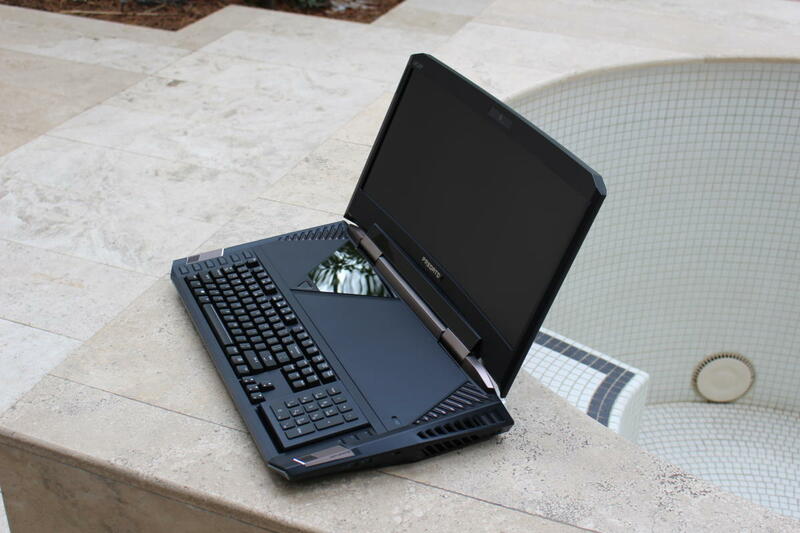 You can customize that panel with graphics from Acer or even have the label laser-etched with your gaming handle. When the Predator 21 X ships in February it will be one of the most expensive gaming laptops you could possibly buy. But it will also be one of the few that can stare down a full desktop gaming PC.